In Canada Santa comes on a sleigh, in Australia surfing on a surf board, and in Amakusa paragliding! This is our paragliding teacher. 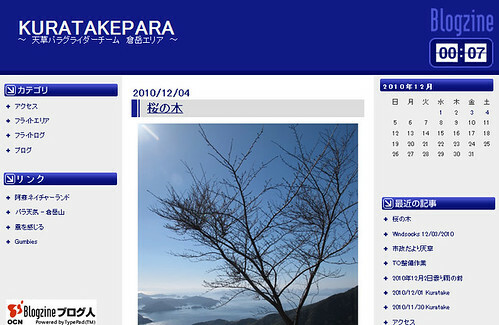 We recently started a blog, together with other Kuratake paragliding members. The name of the blog is Kuratakepara, and we will attempt to bring you regular updates regarding the condition of the kuratake area. please stop by and take a look.